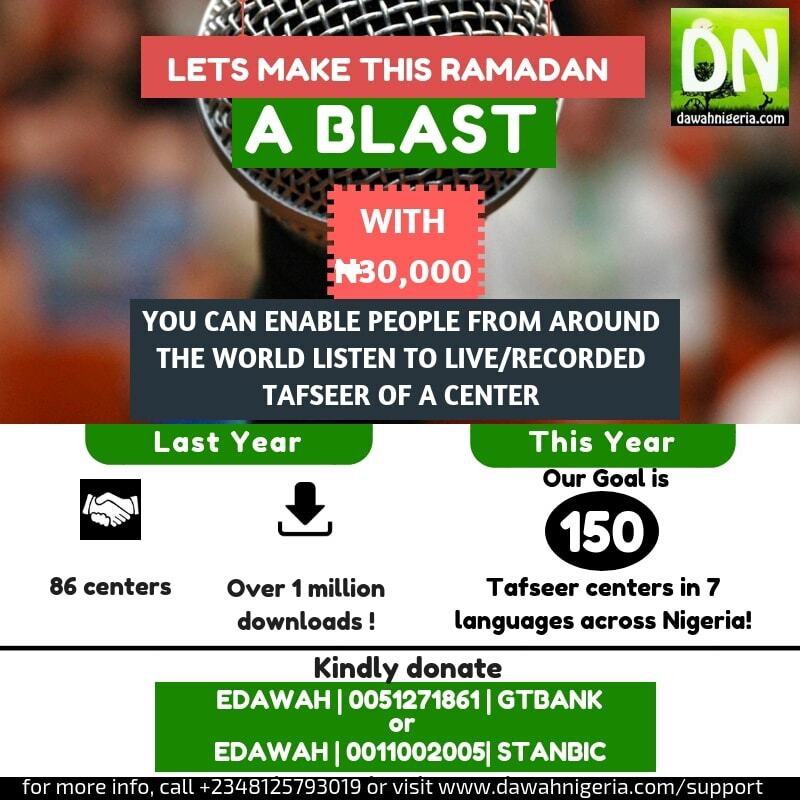 - You get commission on all those who perform ibaadah based on what they have learnt from what you facilitated! You can want these and lots more for yourself or sponsor on behalf of your parents, family etc. This is real deal sodaqotul jaariyay, in sha Allah. 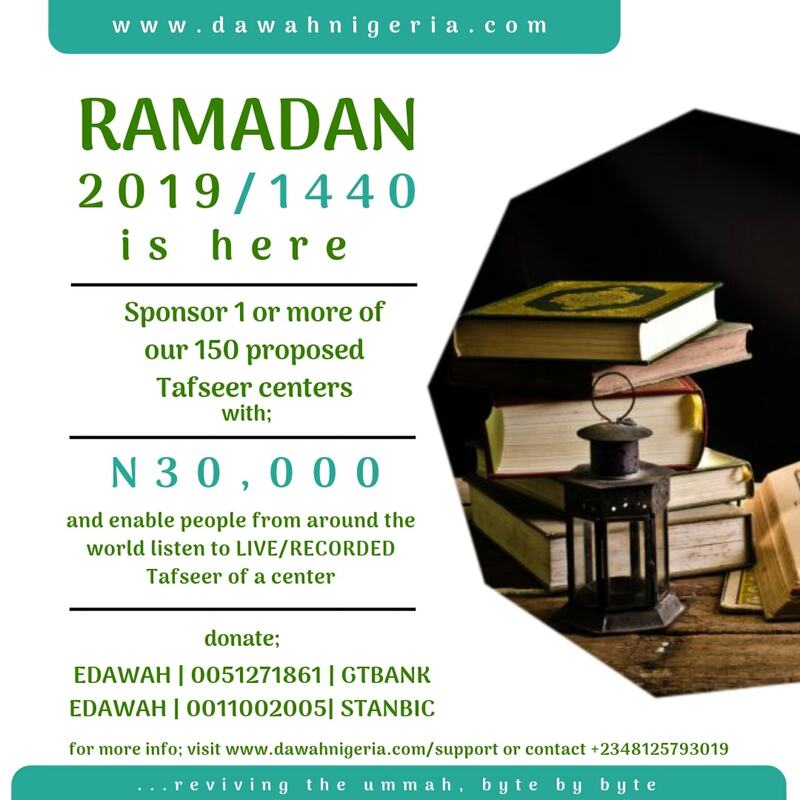 DN pioneered e-Tafseer in Nigeria 9 years ago. We have grown from 1 center in 2010 to 86 centers in 2018. In sha Allah, we are targeting 150 centers this year!